You might want to think twice before having a few drinks and hopping on an electric scooter. Everyone knows it’s illegal to drink and drive a car or ride a motorcycle—and in California, the law also applies to bicycles and scooters. Authorities in Los Angeles, Calif., recently issued its first conviction to an individual who rode a scooter under the influence of alcohol. Nicholas Kauffroath, 28, was convicted of a misdemeanour, city attorney Mike Feuer told the Los Angeles Times. 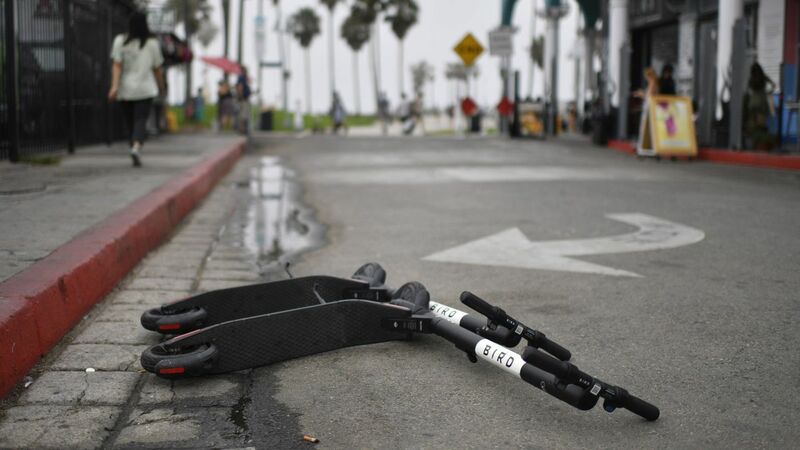 Kauffroath knocked down a pedestrian with his Bird scooter on a West L.A. sidewalk. He did not stop to help the victim but instead scooted off to a nearby apartment building. After police were called to the scene, they found Kauffroath and tested his blood alcohol level (BAC). They determined that it was 0.279—more than three times the legal limit. According to officials, Kauffroath pleaded no contest to one count of operating a motorized scooter while under the influence and one count of hit and run. He was sentenced to three years of probation and ordered to pay a $550 fine. In addition, a judge ordered him to pay restitution to the victim and enroll in a three-month DUI program. Kauffroath is also not allowed to ride a scooter while drinking. Over the last year, there has been a proliferation of scooters in Los Angeles and Santa Monica. They are cheap and easy to use, costing just $1 to rent and 15 cents per minute to ride (or $9 an hour). Customers find rental locations via an app and unlock them using a scan code. Before they are allowed to rent a scooter, riders must confirm they will not operate them while under the influence of alcohol, drugs or medication. Law enforcement officers in Los Angeles have recently noticed an increase in crashes between scooters, vehicles, and pedestrians, according to the Times. As a result, the Los Angeles Police Department developed a code to specifically track scooter accidents.